We recognize the importance off getting a great night's sleep when our guests travel. 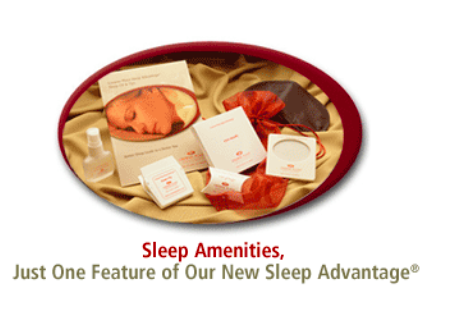 That is why we have developed the Crowne Plaza Sleep Advantage Program. Our program is a holistic approach to sleep that includes the following features: better quality bedding, sleep Amenities inside the room and guest services. We have enhanced our beds to a new level of comfort with 100 % cotton luxurious sheets, mattress toppers and other additional items that improve the comfort and appearance of the bedding. We have created designated Quiet Zones on our bedroom floors to ensure maximum silence for our business travel guests. Guests can enjoy a Sleep CD with sleep and relaxation tips from the famous sleep doctor Dr Chris Idzikowski, B.Sc. PhD., the founder and chairman of the British Sleep Society. We now offer our guests special amenities necessary to help create an optimal sleep experience such as lavender spray for pillow and aromatherapy roll-on for body.